Save 35% on Award-winning Sony X700 4K Blu-ray player | What Hi-Fi? The Sony UBP-X700 budget 4K Blu-ray player impressed us enough to win a 2018 What Hi-Fi? Award at its original £250/$250 price, so we can only recommend it more now that it's available for just £184 in the UK and $159 in the US. 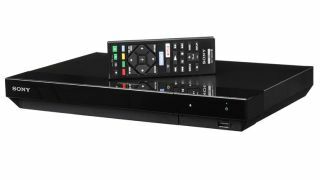 The Sony is the first budget 4K Blu-ray player that has wowed us in the way we believe 4K and HDR picture quality should, with a crisp, natural-looking rendition of excellent detail and accurate colour reproduction. It doesn’t fail to offer an impressive sound performance too - it’s clear, expansive and capable of delivering a good amount of attack and punch (if not all the heft we’d like).